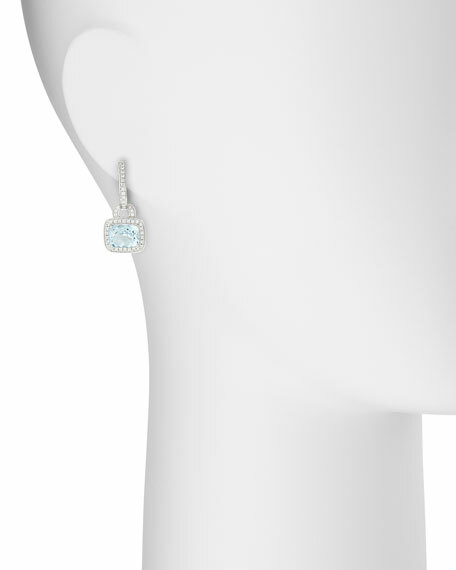 Frederic Sage drop earrings, from the Roma Collection. 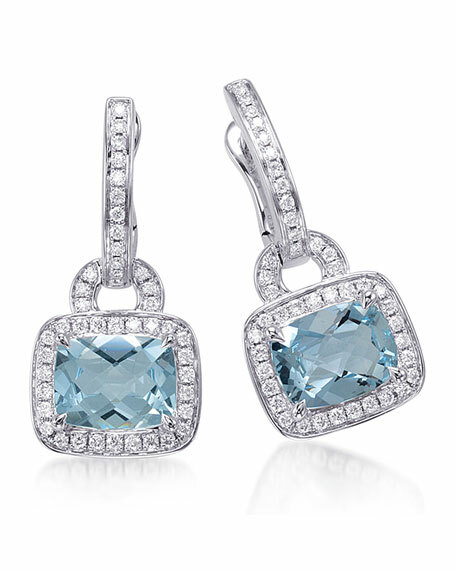 Faceted aquamarine drops, 3.73 total carat weight. Pave white diamonds, 0.50 total carat weight. Clip backs with posts for pierced ears. For in-store inquiries, use sku #565863.